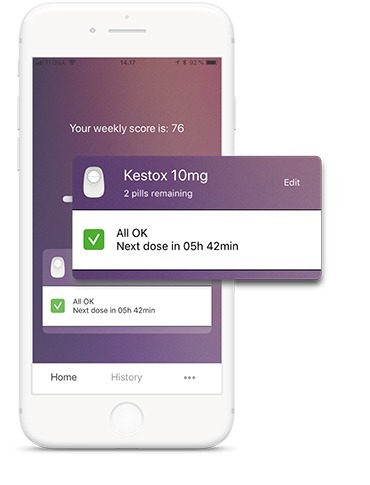 The world’s smartest pill reminder that reduces missed pills by over 80%. 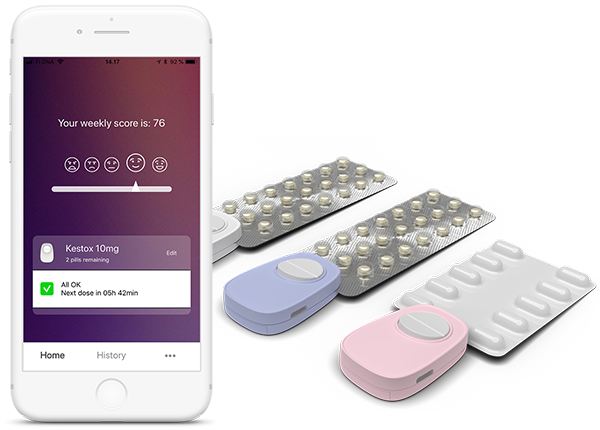 Popit makes your pills connected. Track pills automatically with Popit Sense, get reminded only if you miss one. Proven to reduce missed pills. Popit Sense is easily attached onto the pill sheet. Small metal spikes pierce the pill sheet and offer excellent grip. 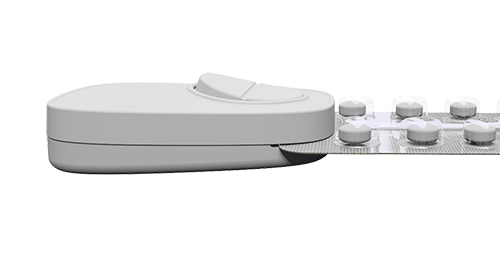 Popit Sense needs a small amount of space on your pill sheet. This space can often be found on the short or long edge. 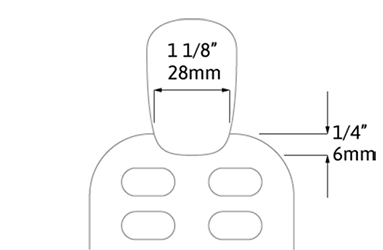 Popit Sense accommodates placement on either edge. Three sensors work in a sequence to detect pill extraction automatically. 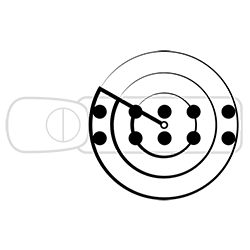 Popit Sense is also augmented with a manual logging button. 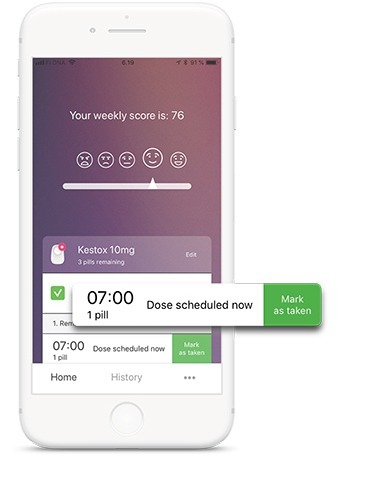 Pill use is automatically recorded by the Popit App. It reminds you only if you have missed your pill. 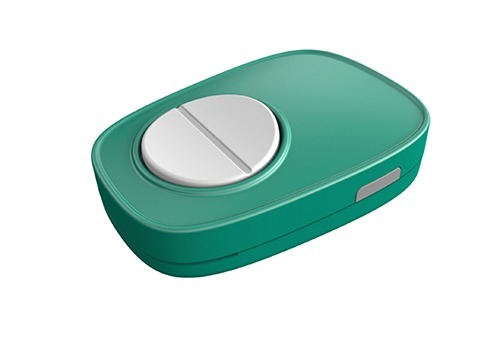 It provides seamless tracking and reminds you only if you have missed your pill. These are your medicine cards. You can add several of them. 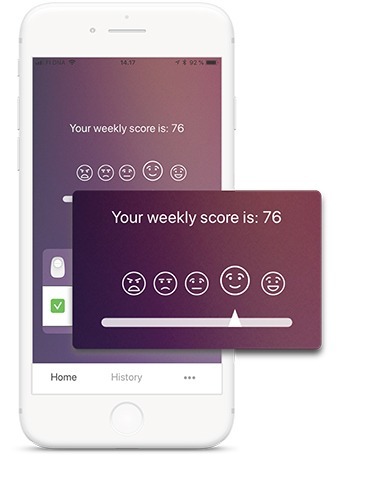 The score sums up how well you have been taking your pills. 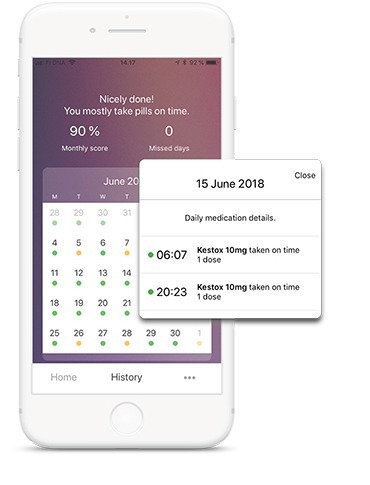 In addition to getting pill consumption data through Popit Sense, you can also log pills manually and see the time until next dose. See your pill history at a glance. Tap on a single day to see more details. Get the improvement a regular reminder app can’t give you. Get your pills connected. Get Popit.